I am new to the brand but I am seriously impressed with my new Lamm gear, M1.2 Reference and LL2 Deluxe preamp. There is something so organic and whole to the sound that listening to music takes on a whole new meaning for me. It is difficult to tear away or do something while listening, they just keep pulling you back into the music. Neither dark and laid back nor lean and forward sounding, neither warm nor cold, not veiled nor hyper detailed, they simply lock on to the music and its emotional content like very few systems that I have heard so far. The rich harmonic content is like what you would expect from a tube amp but there no compromises in the bass or rolled off highs. The bass is about as organic as I have heard so far, analog like in its roundness and fullness but no bloat or tubbiness, not dry or artificially tight like some other solid state amps can make it sound. The huge, expansive soundstage that simply breathes with all the subtle cues about the acoustical space where the recording took place is mesmerizing. The vibrant, rich colors with which the Lamms paint upon the sonic canvas is very addicting. That's has been my experience with living with them for almost 2 months. Would love to hear from other Lamm owners in the future! Last edited by PHC1; 04-06-2009 at 07:40 PM. Can we all just chip in so Serge can please get a rack. 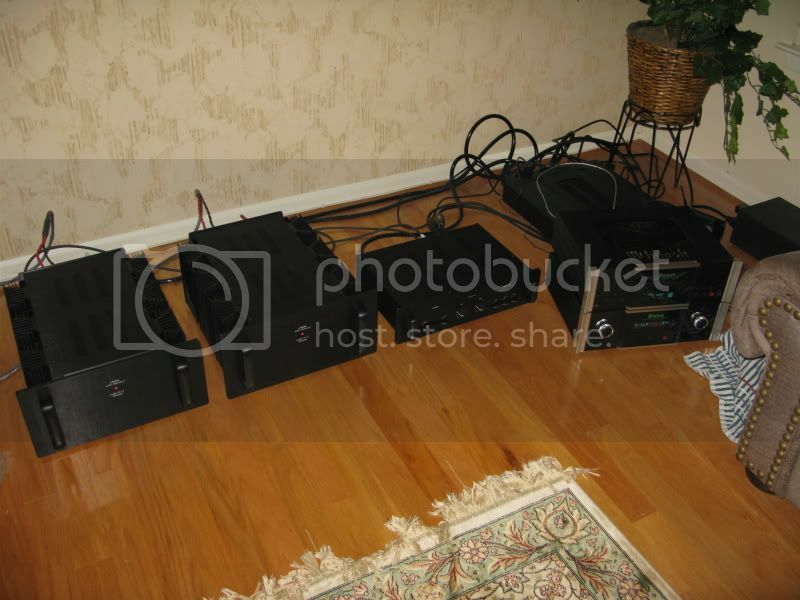 As many as you would need for your elaborate, multi speaker tri-amped system, you might as well bring a towel and a pail of water because your listening room will be a sauna. 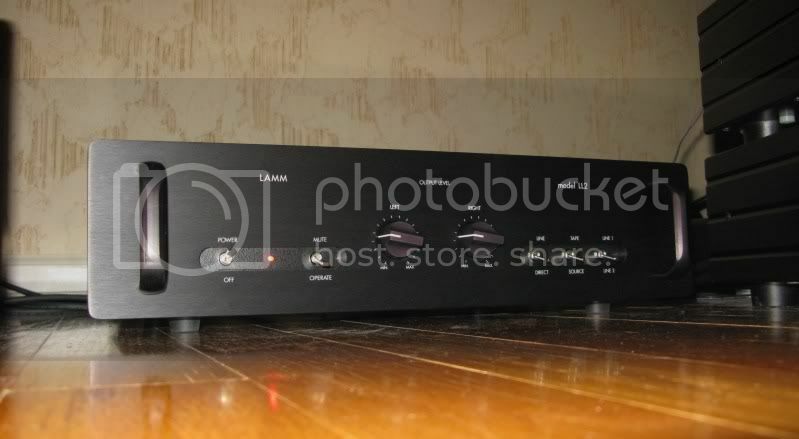 Class A biased amps run HOT! Last edited by PHC1; 04-09-2009 at 12:26 AM. I hope you do - and you should. I really think that the vertical (i.e. manufacturer forums) are a huge plus and what could differentiate AudioAficionado. What developed on AK was MUCH more than a forum, it became more of a social network which, IMO, is a much more fun and powerful concept which, apparently, was too much for some people to handle . It's good to hear about your experiences with your new amps. I had lost track of your previous posts. 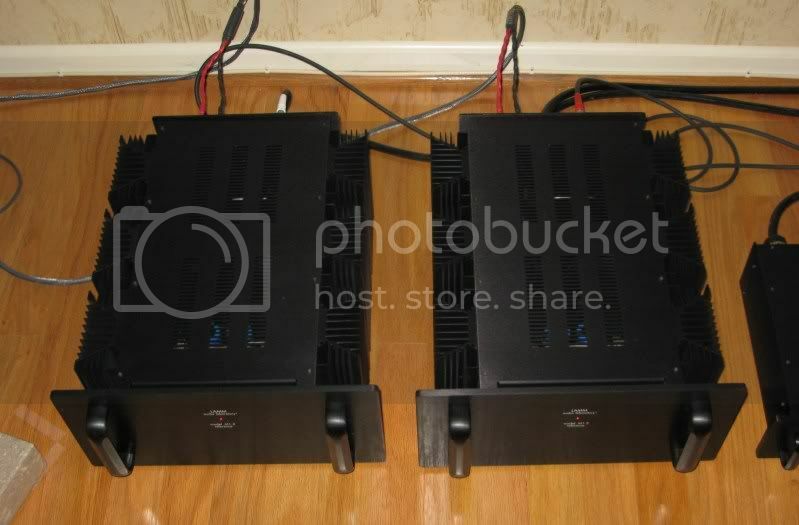 Regarding the heat, do these amps cook even at low volumes since they run class A? Do you miss the 501's, or the blue meters? Yes, the amps get pretty toasty, although never too hot to touch the heat sinks. Not too bad in my 14x17 room, the temp of the room goes up only a few degrees over a few hours of listening. Meters are cool but I have my gear on the side of the room so I usually didn't stare at them anyways. I still have my 501s so I don't know if I will miss them long term when they are gone... So far I am very involved with listening to my Lamm's. I'll say this, that gear looks serious. They do have that serious look, more of a traditional hi-fi approach of "let's get down to business and make some music" as compared to the elegance/classic looks of McIntosh amps with their meters. Looks to me are a distant second to the sonic performance though. I kind of like the industrial look of Lamm.